TUESDAY, Dec. 5, 2017 -- For children with epilepsy who don't find relief from their seizures with medication, a tightly controlled nutrition plan might help, a pair of new studies suggests. Called the ketogenic diet, the therapy provides a carefully balanced high-fat, low-carbohydrate diet that causes the body to burn fat instead of carbohydrates for fuel. This changes the way brain cells use energy and helps to reduce seizures, according to the researchers. The first study compared a ketogenic diet to several other treatment options for epilepsy, including surgery and a procedure called vagal nerve stimulation. It found that about two-thirds of kids successfully controlled their seizures with a ketogenic diet. The second study looked at whether or not introducing the diet in a slower, less restrictive manner would be effective. For most kids, it was. "Although medical therapy is our mainstay for treatment, ketogenic dietary therapy can be a very effective option," said Dr. James Wheless, a spokesman for the American Epilepsy Society. Most children with epilepsy can get control of their seizures with the first anti-seizure medication they try, according to the American Epilepsy Society. But approximately 1 in 5 kids don't get seizure control, even after trying multiple drugs. The ketogenic diet, which is not a new approach for controlling epilepsy, is one option for those kids. Everything on the diet has to be weighed, and people have to eat a certain number of fat grams compared to the grams of protein and carbohydrates they eat, according to the Charlie Foundation for Ketogenic Therapies. This is known as the diet's ratio. The classic ketogenic diet has a 4-to-1 or 3-to-1 ratio. For a 4-to-1 ratio, that means 4 grams of fat for every 1 gram of protein or carbohydrate. Typical fat sources include heavy cream, butter, and nut and seed oils. Sweets, such as cookies, cakes and candies, aren't allowed. On stricter forms of the diet, many carbohydrate sources such as bread, rice, potatoes and pasta also aren't allowed. A modified ketogenic diet has ratios of 2-to-1 or even 1-to-1. Wheless said there can be some digestive side effects such as constipation when people start the diet. And the diet is low in certain vitamins, so vitamin supplements are given. Wheless said it can be a difficult diet to follow, particularly for young children who can't yet grasp the consequences of not following the diet. He said that if someone on the diet chooses to eat foods not on the diet -- say, a cupcake at a party -- it's possible that a seizure might occur. But, he added, there are ketogenic versions of foods such as cupcakes and cookies that parents could bring to parties, so their children don't feel socially isolated. The first study, whose senior author is Dr. Dave Clarke of Dell Children's Medical Center of Central Texas, included 210 children with drug-resistant epilepsy. They were between 8 months and 20 years old. Sixty percent were male. The children tried one or more of the following treatments. One hundred and fifty of the children had vagal nerve stimulation (VNS), which is similar to a heart pacemaker, but for the brain. VNS prevents seizures by sending out mild electrical pulses to the brain, the researchers said. Forty-four patients had an epilepsy surgery known as corpus callosotomy surgery. This procedure severs a major connection between the two halves of the brain, which stops seizures from spreading. Meanwhile, 98 children were treated with the ketogenic diet. Of the three treatments, parents reported the greatest seizure reduction with the ketogenic diet. 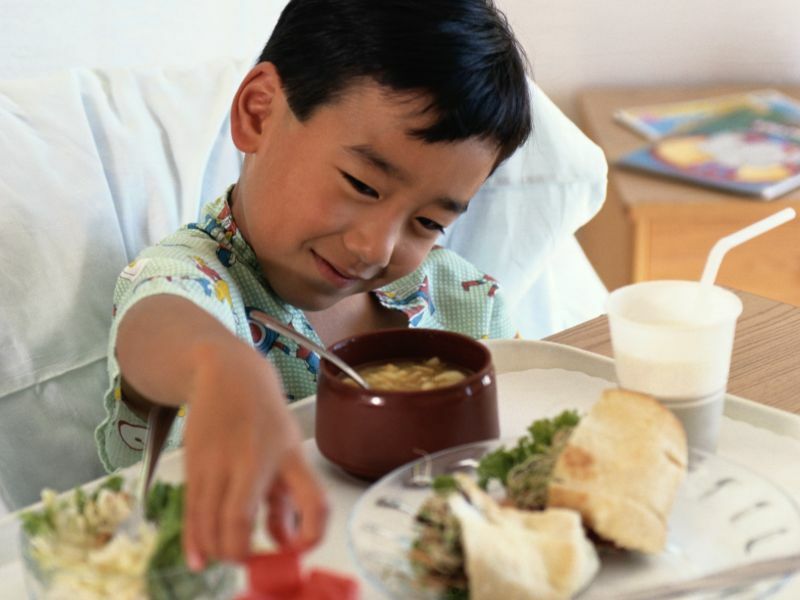 Sixty-three percent of kids on the dietary therapy had a 50 percent or greater reduction in seizures. For those who had the VNS procedure, 52 percent had a 50 percent or greater seizure reduction. That number was 54 percent for those who had the surgery. The second study aimed to see if implementing ketogenic therapy slowly at home might be easier on children and families. The investigators also looked at whether a less strict version of the diet would be effective, because it would likely be easier to maintain. Typically, the introduction of a classic ketogenic diet is done with a crash course during a brief inpatient hospital stay, according to study author Dr. Rajesh RamachandranNair, an associate professor of pediatrics at McMaster University in Canada. His study included 40 children up to 17 years old. They were initiated on the classic ketogenic diet, but started with a more tolerable low-ratio version. And the introduction of the diet was done on an outpatient basis. If seizures weren't controlled, the ratio was increased slowly -- every two to three weeks. About half the patients had good seizure control -- defined as a greater than 50 percent reduction in seizures. Seven children even stopped having seizures, RamachandranNair said. "Our results indicated that slow outpatient initiation of the classic ketogenic diet allowed many patients to achieve good seizure control, including seizure freedom, at low ratios," he said. Wheless noted that the diet doesn't work for everyone who tries it. He said if it's going to work, you can usually tell with a six-week trial. Both studies were scheduled for presentation Monday at the American Epilepsy Society meeting, in Washington, D.C. Findings presented at meetings are usually viewed as preliminary until they've been published in a peer-reviewed journal. Learn more about the ketogenic diet from The Charlie Foundation for Ketogenic Therapies.